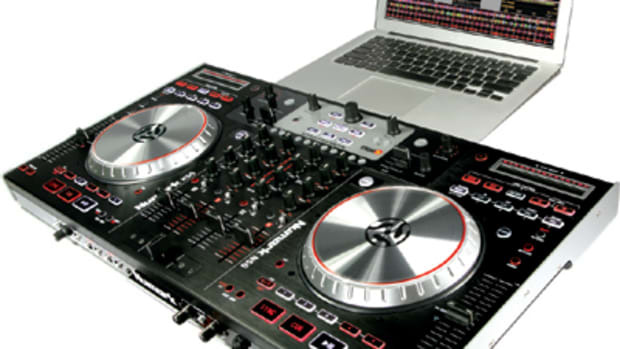 The Numark N4 Digital DJ controller is a nice versatile unit that allows users to use many different types of software (two are included) to control the music. The N4 can act as a standalone mixer or in combination with timecode DVS playback decks for external CDJ or vinyl control. There are cue points, effects, samples, and loops for DJ&apos;s to have fun with and so much more. Check out the full HD-Video review and a few words from yours truly to see what the N4 is all about. The Numark N4 Digital DJ controller is one of the newest and most versatile controllers in the entire Numark DJ Lineup. 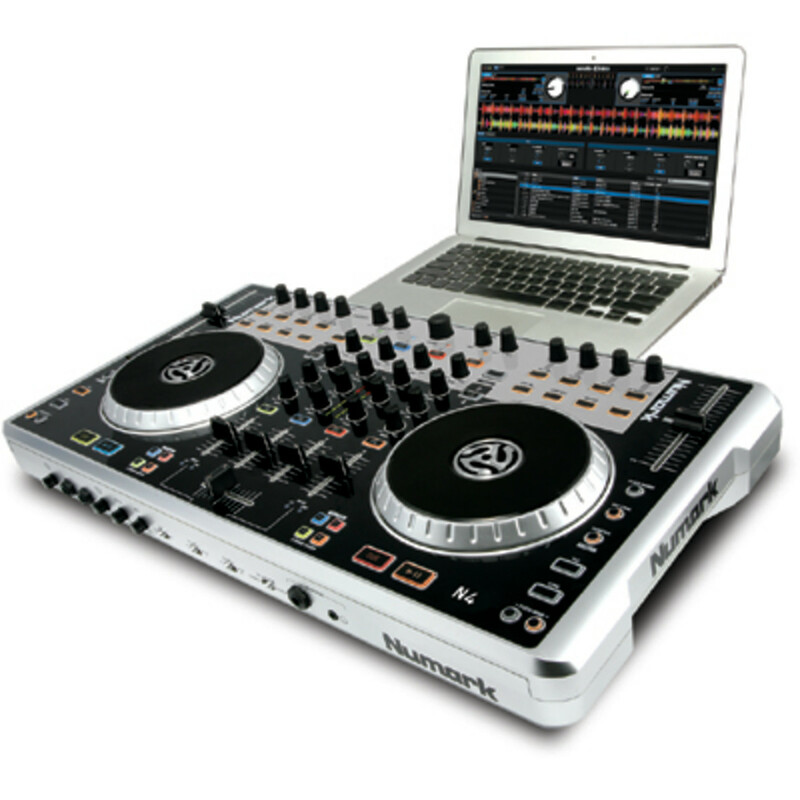 The Numark N4 is a four-deck Digital DJ controller with an internal 4-in/4-out soundcard that is capable of vinyl or CD timecode DVS playback for external deck control of Virtual DJ Professional’s software. This means, the DJ can upgrade to the Professional version of Virtual DJ (additional charge) in order to use their CD or Vinyl decks to manipulate and control the audio files in the DJ software. 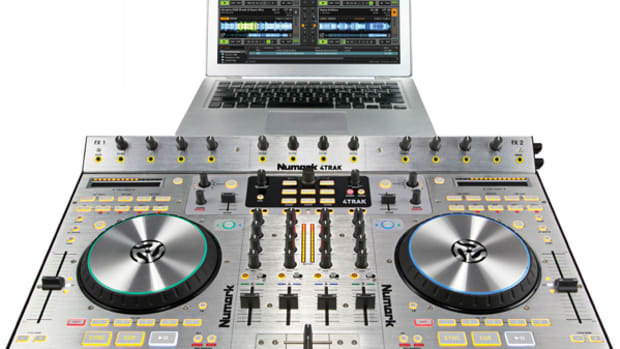 The Numark N4 comes bundled with two different popular DJ software packages so the DJ has everything they need to get up and running right out of the box. 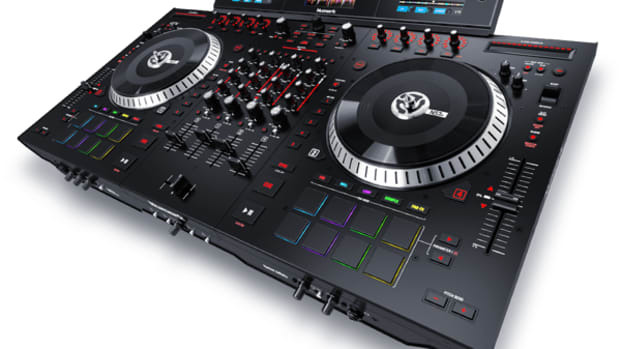 Numark has supplied the N4 with a two-Deck version of Serato DJ Intro and a four-deck version of Virtual DJ LE. 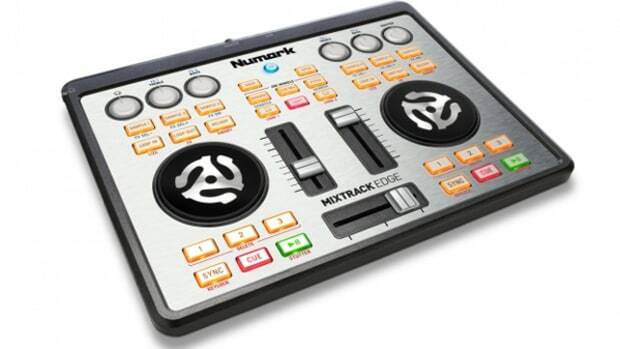 Each version has their positives and negatives and it’s great to see that Numark was really thinking about the end-user and decided to give them good options. When using Serato DJ Intro, it seems that the high resolution jog wheel mapping was a tad bit tighter. In Serato DJ Intro, the end-user gets a no-frills type of DJ setup with barebones features only. In Serato DJ intro you get 3-Effects per deck and loop controls with no Hot Cues or Samplers to speak of. On the other hand, if the DJ decides to use Virtual DJ LE, they will get 2-Effects per deck, 2-Samplers per deck, and 3-Hot Cue buttons for a more advanced feature set. From a hardware perspective, the Numark N4 is made up of almost all plastic making it light enough to move around and transport easily. There are side cutouts that serve as handles in the S4 to also make it easy to grab and go. All of the knobs are plastic-post and have a rubberized feel to them. The Buttons are all hard plastic and they all illuminate to show you exactly what is active. The crossfader is pretty loose and I was able to pull off some scratching with both software, but the Serato DJ Intro had better overall mapping in that category. It still wasn’t good enough to do your crazy scratching since the fader has about almost 2.0 millimeters of dead space in it, but baby scratches and mixing style scratching and cueing is perfect. The Linefaders have a bit more resistance to them and they work nicely for accurately getting the right volumes. There is a 3-Band EQ with FULL-EQ-KILL for each when turned all the way down. Above each channel is a Load button and Cue button to Load the track into the corresponding deck or to Cue that particular deck in the headphones before mixing live. There is a nice Big oversized Browse knob right in the top-center for easy track selection. The Jog wheels and deck controls all worked as advertised. The jog wheel is all plastic but it is very sturdy. You can use the sides as a pitch bend style wheel to get your right tempo and the top as a touch-sensitive scratch style wheel when in the Scratch Mode. The Serato DJ Intro mapping to the jog wheel was tighter than the mapping in Virtual DJ LE as I could hear more of the fine movements when working the jog wheel in Serato DJ Intro. 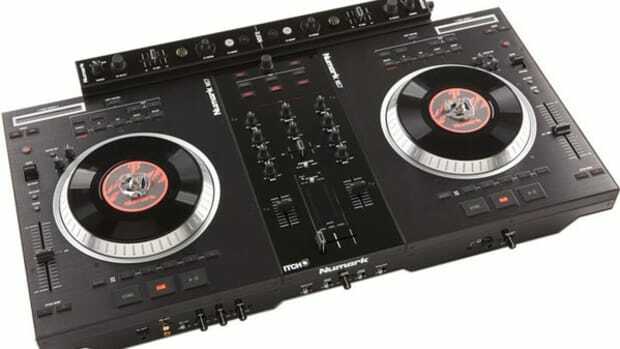 The DJ can assign the side of the fader they would like each deck to be on using the four lite buttons beside the fader. Simply select the numbered button to assign it to the corresponding side of the crossfader. There are also the standard deck controls which are all button type which include Play/Pause, Cue, Pitch Bend buttons, Sync, and Tap (to get the accurate BPM into the software). The Key Lock button and Pitch Range button are used to change the tempo along with a very long and tight Tempo Slider which has no center-click, but does have a center LED which lets the DJ know when they are at the original playback speed. 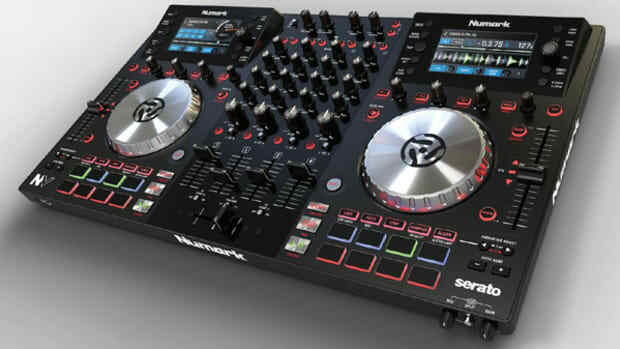 Another thing that the Numark N4 does well is handle a plethora of inputs and outputs. As we’ve stated earlier, the Numark N4 has two-line level inputs and two-phono inputs on the back of the unit so DJ’s can plug in almost any audio device of their choice. There are also two separate quarter-inch Microphone inputs on the front of the unit and a headphone input section that allows the DJ’s to choose between the quarter-inch or mini connection. The Numark N4 also has two separate output controls with the Master Volume Knob controlling the Master XLR or Master RCA outputs, while the Booth Volume Knob controls the Booth RCA output. On the downside, the Numark N4 is not meant for rigorous or really tedious scratching. The mapping within both supplied software is good enough for basic scratching, back-cueing, juggling, and backspins, but you won’t be able to pull off the really quick and complex movements for turntablist style techniques. Most people who are using controllers wouldn’t care for this feature anyway, but it’s worth pointing out. The final gripe that I have with the unit is that it is made up of almost completely plastic. In some ways this is good for weight-savings, but in other ways, it means you will have to be very careful with the unit and be sure not to drop it or drop anything on it when in transport or in use. 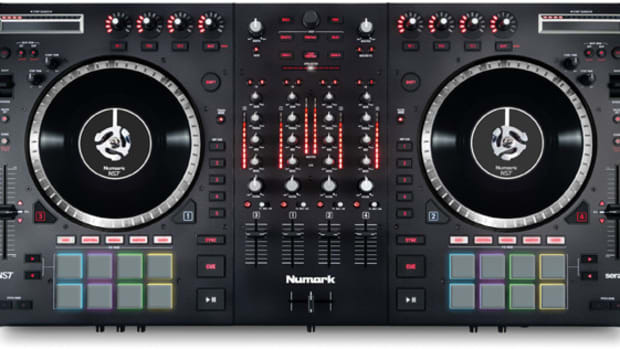 In conclusion, The Numark N4 is a tight four-channel/four-deck controller with some really neat and versatile features. DJ’s can play music through the supplied software or hook up two external decks and use the N4 as a standalone mixer or as a combination of the two. The N4 comes with two different types of DJ software to choose from so you are ready to roll right out of the box. The N4 has a 4-in/4-out soundcard for external DVS timecode playback in Virtual DJ Pro making it great for beginners who want to grow into a set of CDJ’s or Vinyl Decks for added control. Even though it’s not made for scratching and it has an all-plastic construction, the extra on-board features and plethora of inputs and outputs make this a really competitive controller with a competitive price to match. 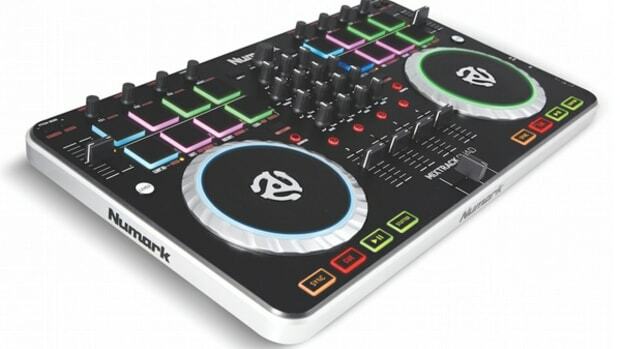 I recommend the Numark N4 for beginner DJ’s, Bedroom DJ’s, or for any advanced user looking for an additional controller or backup unit that can work with almost any software of their choice.